Miss Print: Giveaway: How would you like to be "Happy Sew Lucky"? Giveaway: How would you like to be "Happy Sew Lucky"? What's this about a giveaway, you say? Well, last Friday when I went to Creativ Festival, the lovely Berene of Happy Sew Lucky gifted me with a couple of her super-awesome kits to giveaway to readers of my blog, woohoo! Berene's designs are printed directly on to 100% organic cotton fabric, and the kits also include instructions, stuffing, cotton tape, and turning tools. All you need to add for yourself are basic notions such as a needle, thread, and pins. Now isn't that awesome? Two winners will be chosen to win the Sweet Angel or Babushka kit (one kit to each winner). For one entry: Leave a comment on this post letting me know which of the two kits you'd like. For a second entry: Leave another comment if you are a follower of my blog, or if you become one. or, in the case of Twitter, be sure to mention me (i.e. @KayePrince). Please be sure to leave a separate comment for each entry (if you do all three, leave three comments). This giveaway is open worldwide, so be sure to enter! I will announce the winners next Friday. I'd love the Babushka kit ~ so sweet! how lovely! Would love the sweet angel! So cute! I am a follower! Love to read your posts! I'm a follower and love your blog. Would love to win the babushka kit! How sweet are those?! Would love the Sweet Angel. Oh, how cute! I'd love the angel. I love the Russian Doll one the best. I like the babushka kit. Very cute. I would love to win a little angel kit! They are adorable! Thank you for the giveaway! I follow your blog in Google Reader - it's great! Thank you! It's hard to decide but Ithink I'd choose Sweet Angel. Oh why didn't I see those at Creativ??? They are so cute! I'd love either one - perhaps the babushka is slightly more squealable, but it's such a close call! I love the sweet angel!! The lil' green birdie (#1) would be a perfect addition to a baby shower gift I'm putting together! Both of these kits are adorable, but if I had to choose one, it would be the babushka. Thanks for the giveaway! I'd love to make the babushka for my daughter! So cute. Thanks for the giveaway! I wish we had a festival like that in Cleveland, it sounds like a blast! These are so cute! Awwww I love these! I would have to select the Babushka - sweet! Thanks for the chance!! I am a dedicated follower and if I won this awesome giveaway I would choose the Babushka - sweet! Thanks for the chance!! I'd love the Babushka kit. thank you ever so much for sharing. I love the cute little Babushka . . . I know my daughter would pick the angel though ;) Thanks for the chance! Both are adorable, but I would choose Sweet Angel. I am a follower too!!! I'd love to win the Babushka kit - it's adorable! I love the little angel kit - and so would my granddaughter!! And I'm a follower of your wonderful blog!! I'd love the babushka kit, she is just too cute, thanks for the giveaway. I would love the little babushka, but I would love either one! They are adorable! Thanks to you and Berene for the giveaway! The babushka is so cute! I'd love the sweet little angel kit. Thanks for the giveaway! Hi there, I would LOVE the babushka kit. Thanks so much for the draw! HeatherB. hfbowers(at)gmail(dot)com. I would be happy with either but the little sweet angel makes me smile. I would love to win the Babushka kit! Oh they are both adorable, but I'd like the Angel. Pleazzzzzeeee!!!! This followerer would the angel packet!! Pleazzzzeee?!?!? I love the babushka kit! I would love the Babushka kit! That Sweet Angel kit is so stinkin cute! WoW! Boy, they are both adorable! I'd like the Babushka if I am lucky enough to win. Thanks for the opportunity! What a fun giveaway ~ I love the matryoshka! I love the babushka she is tooooo Cute! I am a subscriber and I love reading your blog. I really love both but I think the angel might be my fav. Sweet Angel is darling. She's my favorite. I love the Angel best- top of the tree for Christmas maybe? I just added you to google reader! The Babushka kit is precious! ooh so cute! i'd love either.. I would love the sweet angel - just adorable! i simply love the babushka kit... too cute! I would love to sew the babushka - and look at her every day. I love that sweet angel. I would love to win the Babushka kit, it is such a fun word to say! Great giveaway! I follow your blog. Thank you for your generosity with these very cute kits. Happy November :)!!! Both the kits are really cute but I think I would choose the sweet angel. I am on my way to see the quilt you posted in the bloggers quilt festival. They are both adorable. I would choose the babushka set. Tahnks so much for the giveaway. Love the little angel. Thanks for sharing. I love the sweet angel! So adorable!! I love the angel - so cute! I think the Sweet Angel would be wonderful to win. So sweet! Thanks for the chance. I'm already a follower to your great blog. Oh wow, Kaye! These are so cute! My pick would be the angel! lovely! I'd love the chance to win the little Babushka doll. I love the Sweet Angel! I think the Babushka doll looks amazing! I would love to win that kit please!! Loving the blog and your work! Just posted about the giveaway. Have a read. I'd love to win the Babushka kit -- so cute! The babushka kit is too cute! 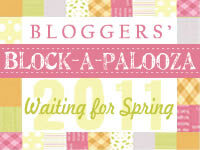 Thanks for stopping by my blog btw, I love your quilt submission!! So pretty and pinwheels are always a favorite. Babushkas in general are too cute, so I would pick the babushka kit! I am NOW a follower :) new to the print/sew/quilt scene, and highly keen to become addicted!! Love them both, but think I'd pick the sweet angel. Thanks for the opportunity.